Every birdwatcher, no matter their skill level, runs into problems with bird identification. While expert birders will only be troubled by the occasional bird, novice birders may find a challenge with almost every species which flies by. And even for the experts, who are confident in their ability to identify anything which comes their way, there are still some birds, like fall-plumaged warblers or juvenile gulls, who will throw them for a loop. Another practical aspect of these tips is that they can be done when there are no birds around. 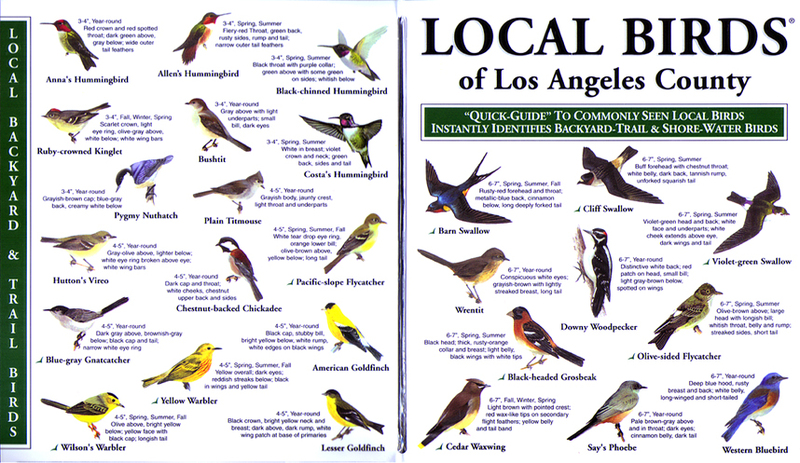 There is a very simple reason why field guides tend to be rather thick books: they have to include a lot of birds. Regardless of which region the field guide covers, it will have to cover anywhere from several hundred to over a thousand different bird species. For the beginner birdwatcher, learning all of the birds in a single guide book can be an overwhelming task. The easiest way to learn to identify these birds is not when they are fluttering all around you or hiding on the other side of the tree trunk, but when they are nowhere to be seen. The key to mastering the birds in a guide book is to first become familiar with the guide book. And the easiest way to do this is to simply look through the guide. Starting at the first page, look at what types of birds are pictured there and their group name. Don’t worry about species names yet, just what kind of bird it is. For example, most field guides will start with the waterbirds (such as ducks and geese) and will end with the blackbirds and House Sparrows. All of the birds in the book are grouped according to the specific bird group to which they belong, i.e., owls, hawks, woodpeckers, etc.. The number and variety of species within each group. By the time you have looked through the guide a dozen times, not only will you be familiar with what is in the book but you will also be able to recognize more birds the next you are looking at the actual birds. And there’s no feeling quite like seeing a bird for the very first time and its name just flashes up from your memory of having seen it in the field guide. Playing with the field guide in this way will also make it easier for you to pull out the book from your pocket and turn directly to a certain group to which you know the bird in front of you belongs, even if you don’t know exactly which bird it is. At least not yet. While identifying birds by sight can be a challenge, identifying them by their song is doubly hard. By listening to CD’s or smart phone apps of bird songs, you are training your ears in much the same way that leafing through the field guide is training your eyes. The beauty of listening to bird song CD’s is that it can be done while you are busy with other things. It’s amazing how many bird songs will slip into your memory because your bird song CD is playing in the background while you are cooking dinner or driving to work. There are many commercial recordings of bird songs to choose from, some of which are excellent for their sound quality and ease of listening. However, if you are unsure which set of CD’s to get, don’t ask the bookstore clerk for their recommendation. Ask a local birder which set of CD’s they use – regional variation in bird songs means that a set of CD’s for a=one region may not be very useful in another region. An example of this song variation occurs with the Song Sparrows. Several of these birds used to nest in my backyard when I lived in Quebec. After hearing their song so many times over a number of years, I came to recognize even small inflections in their song which would indicate a different male was singing. But when I moved back to western Canada, there was this one bird whose song was driving me nuts because I couldn’t quite place it. When it finally came out from hiding, I was surprised to find it was a…Song Sparrow! There is so much variation in the songs of this species across North America that the eastern and western birds often sound like completely different species. There are a number of high quality, well written magazines devoted to birds and birdwatching. Almost every issue will feature an article on identifying a particular group of birds, and there will be the inevitable pieces about great birding spots you’d like to visit, exotic species you would love to see and birding equipment you’d like to throw into your car. Plus which, a good birding magazine will help get you through a four-day rain storm or worse, a long, cold winter. This may seem like a harebrained suggestion, especially if you have some pretty expensive binoculars. But there are two errors that birdwatchers make with their binoculars which can be solved by repeatedly “playing”with them. The first comes when you spot a bird with your eyes but then can’t pinpoint that same location once you’ve lifted the binoculars to your eyes. It takes practice to make the transition from naked eye to magnified view without losing track of the bird but once you’ve mastered this skill, it will save you a lot of frustration in the field. The second error happens when you look through the binos and find the bird is out of focus. It is a truism that the rarer the bird, the more likely you are to turn the focus knob the wrong way. Especially if you have to do it quickly, before the bird flies away. By playing around with your binos you can practice both your location accuracy and focus speed. One exercise you can try is to stand by a window and watch cars going by; this gives you a lot of different ‘targets’ to locate and the moving car will require lots of focus changes. You could also focus on a tree branch off in the distance, then lower your binoculars, spot an imaginary bird alighting on a closer tree branch and then do a ‘quick draw’ maneuver, seeing how quickly you can find that imaginary bird and bring it into sharp focus. Sometimes the easiest way to remember the difference between similar species is to apply a memory trick to those birds; some catchy phrase or mental image that will pop into your head the next time you see those birds. As you are leafing through the field guide, you should jot these memory tricks down onto the appropriate page. Eventually you will find the guide book filled with memory tricks but by that time, you will have them all momorized. An example of one such memory trick is used with Horned and Eared Grebes. In the field guide these two species look quite different but when swimming on the water, they often look very similar, especially if your eyes are drawn to their ornamental head feathers. However, the phrase, “horned ones are devils, and devils are red”, should be enough to remind you that Horned Grebes have a more reddish plumage, especially along its neck, than does the Eared Grebe. Downy and Hairy Woodpeckers are even more problematic for novice birdwatchers. Just remember the phrase, “hairy huge, downy dainty”. Hairy Woodpeckers have a beak which is as long as the width of their head (when viewed from the side) while Downy Woodpeckers have beaks that are considerably smaller. Hence, their beaks are either ‘huge’ or ‘dainty’. The memory trick may sound like a pretty silly way to learn the birds but they really do work. If you can’t think of an appropriate one for a species that is giving you some trouble, ask another birdwatcher; every experienced birder has a pocketful of them.